Who does Fox look more like? Happy almost 1st birthday baby boy! 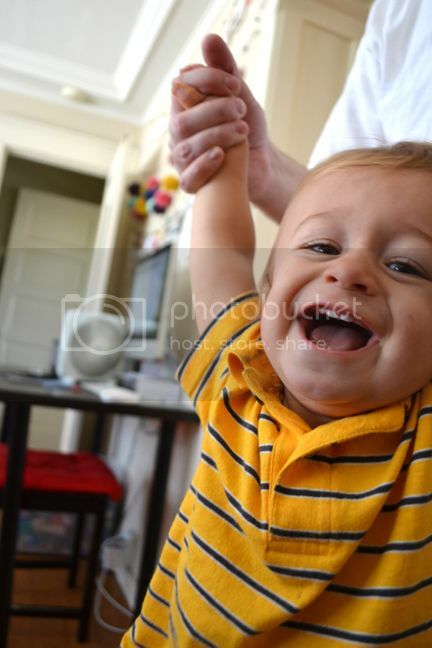 Love that photo – he's so happy! ADORABLE! Love your sweet timeline too! What a milestone!! You have captured all these special moments of Fox through blogging! His happy photos are always a treat to see! happy almost 1, little man! Oh my goodness! I LOVE that photo of him! It made me laugh out loud! i can't believe Fox is almost 1. so crazy! hopefully you'll be able to make it out for thanksgiving so we can see just how big he's gotten within the past three months!! WOW! Time flies--I just love this picture of him!! What a cutie! I look forward to your week of posts about him! !